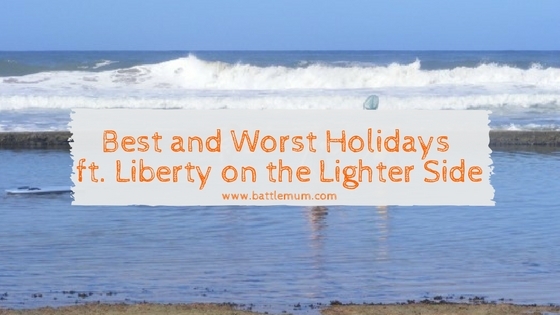 Next up in my Best and Worst Holidays series comes from Liberty who blogs at Liberty On the Lighter Side. We haven’t had one outstandingly terrible awful holiday, yet, but we’ve had holidays with dreadful moments. I tend not to photograph those moments to post on Facebook although I did write about that on my blog here. Strangely enough those bad moments all depend on who you ask in our family because the children and adults have totally different opinions about what those moments were. For example, if you were to ask the grown-ups, we hate camping in the pouring rain. My husband is still suffering from the trauma of a trip to Galway when he spent six miserable hours trapped in a small tent with our four young children and no car while mummy (me) swanned off to a wedding with my sister (and the car) to eat lovely food and drink nice wine with grownups. I’m not sure how it was all that bad for him to be honest, at least he was able to order pizza deliveries to ‘the first wet blue tent on the right hand side’ in a soggy field in Salthill. The children thought it was GREAT, camping is ALWAYS fun when you’re a kid and especially when beans on toast is upgraded to takeaway pizza. YAY! I also don’t have very fond memories of all those holidays (lost count) where we’ve had to either take a child to the doctor, or the car to a mechanic. Holidays are surely only meant to be plain sailing and pain free? On the other hand. there are a few holidays that stand out as our unanimous favourites. One is to a campsite especially designed for children in Brittany, France (yet again in a tent). There was an over abundance of pools and waterslides, but it wasn’t blisteringly hot. This is important point actually, we had a big tree to shade our tent. We’ve camped in hot places (Vendée, France as well as in the Pilanesberg, South Africa) without shade and I’d rather be dead than boil alive like that again. The avenues in this campsite were quiet for safe cycling and our neighbours played badminton with the kids. It was bliss! I read books by the pool side while the kids and hubby splashed about for hours until lunch, and then back again to the pool for even more strenuous relaxation all afternoon. I still dream about that deep sleep I had every night, all week. Another was to the Isle of Skye. In every way a total opposite to the commercialised campsite holiday scene, this was remote and rugged. There were no discos, karaoke or bars. There were barely any people! The landscape awed us at every turn, we swam in the icy sea, built dams in the burn and walked for miles, catching a fleeting glimpse of a couple of shy stags before they turned tail over the hills. We stayed in a self-catering house that had its own private cove and plenty of room inside for the kids to play table tennis on the damp days. Enjoying the sunshine on the Isle of Skye. Really what we love best is visiting family back in South Africa, partly because it’s so familiar, but also because it’s so different to life in Ireland. We love spending time with cousins, grandparents, aunts and uncles, and we also love eating seafood cooked over the coals out under the stars on warm evenings, stroking giraffes, antelope or ostriches and playing on soft sand beaches that stretch for miles. 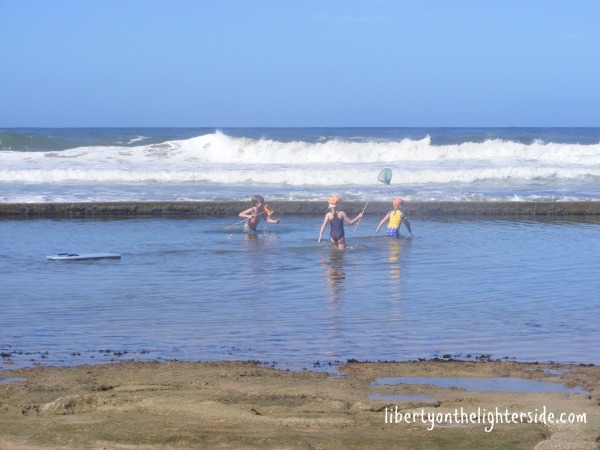 We can’t rave enough about a holiday in South Africa! 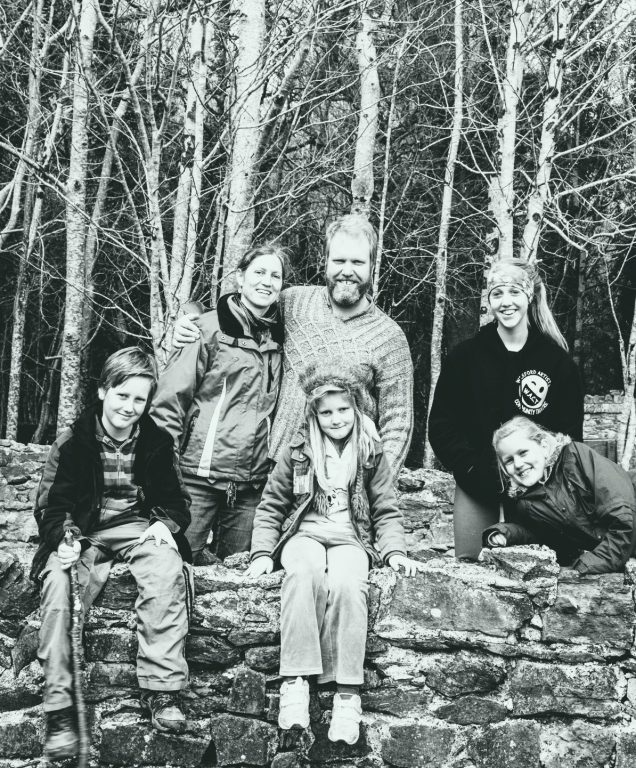 Since having our kids, holidays have certainly been more frenetic, more fun, more exhausting and hilarious. We’ve done fewer ‘adult’ things and have enjoyed the ‘sillier’ kiddie things. Travelling is never dull. Even the painful moments change us, make us more resilient to the next incident. At the least, the terrible disasters make for great stories afterwards. In my mind, travel is not always just about having a holiday, it is about being changed in your outlook on the world. When you return home after a trip, you are never the same person who left home. 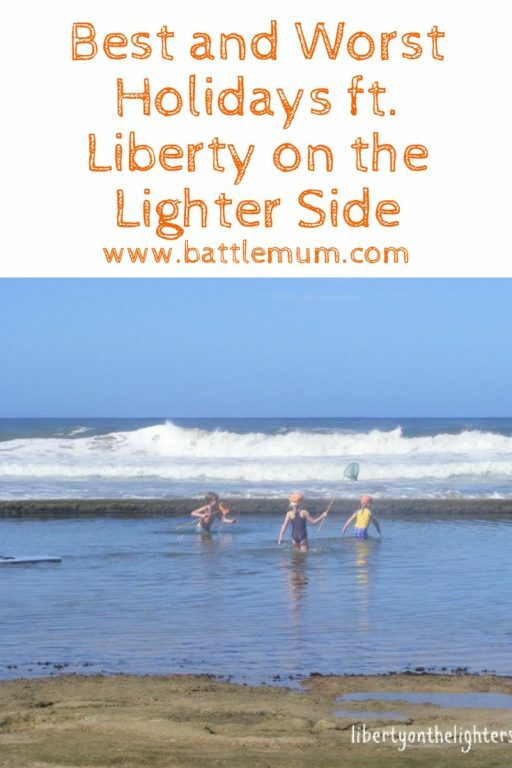 Liberty is a mother of four kids living in Wexford, the sunny South Eastern corner of Ireland, but was born in the UK and raised in South Africa. She and her family get about a bit and usually avoid having ‘normal’ holidays. 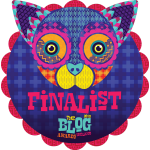 Thanks to Liberty for sharing Why not check out Liberty’s blog. You can also find her on Twitter and Facebook. We’ve never camped with BattleKid yet, but I’m sure we will. I do remember a very wet, soggy end to a week at the Isle of Man TT. It was so bad that my husband I booked into a hotel for our last night because we couldn’t take the rain anymore! 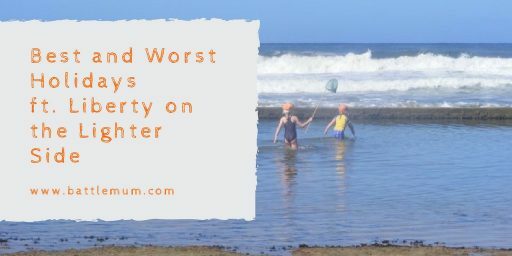 And if you would like to feature in my Best and Worst Holidays series on the blog, please send me an email at bm@battlemum.com. What an interesting series. Our best, definitely Disney Cruises. Our worst a trip to what literally looked like a building site when we got there. Oh no, that must have been awful! 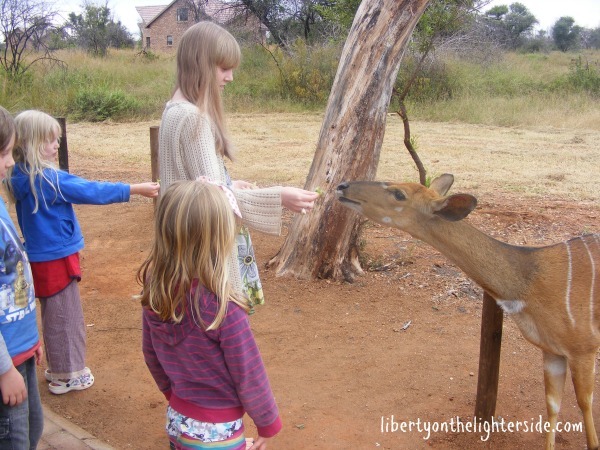 Love the fact that Liberty and her family enjoy, as you put it, ‘unusual holidays! Certainly makes for some amazing adventures and some great memories. I need to take B camping…! Thanks so much for taking part Liberty, it was necessary at that year’s TT! 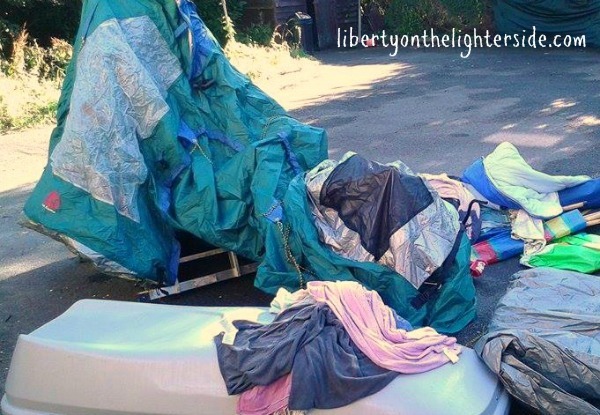 Don’t tell Liberty’s husband that I laughed out loud at the idea of him being stuck in a soggy tent with four children. Camping in the rain is fun for the kids but not so much for the grown-ups! I’m enjoying this series Cath. Great to hear about other people’s holiday experiences. Thanks so much Cathryn. I, too, would hate being stuck in a soggy tent with kids! 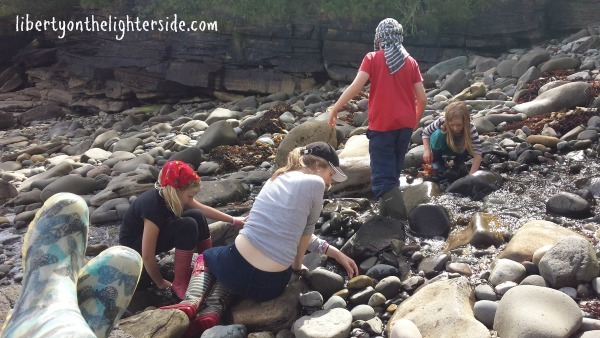 Love the soggy camping tale!! Can’t imagine what it would be like to be stuck in a wet tent with four children, but I bet you were relieved to be the one at the wedding!!! Camping is my worst nightmare. You have just confirmed all my fears. Oh wow, I didn’t know you had links to South Africa. I lived there until I was nine and am really hoping to go back next year with my hubby and family to visit Kruger. This is such an fun series! 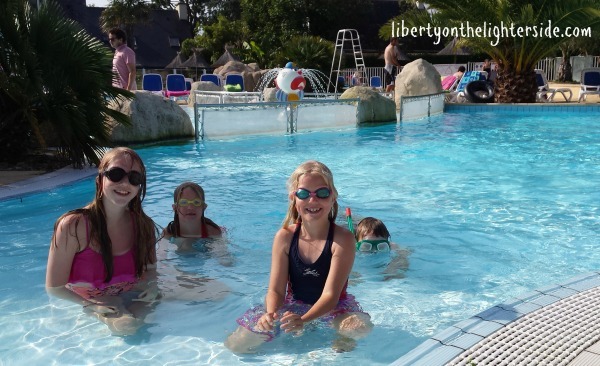 We LOVE camping – but my best holiday was Cruising with Disney – and my worst was Alcudia in Spain, as we were robbed! I’d love to visit South Africa though – that always sounds amazing from anyone you speak to who’s been there! Oh I did laugh about the camping story, we took our four camping last summer but we were SO lucky to have gorgeous weather! We’ve been camping without our son but haven’t done it with him yet! I always like reading other people’s experiences as we have had some shockers and some great ones too and it’s nice to know we are all in the same boat more or less! 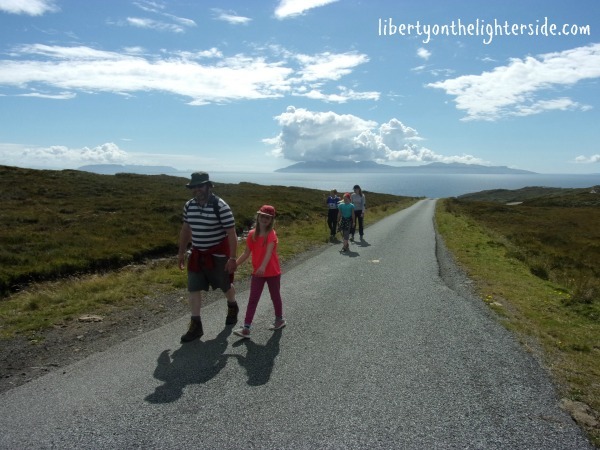 We live on Skye and my daughter’s favourite times are road-trips off the island, ha! I love that Liberty’s husband ordered pizza to his tent. That’s probably the only thing that would get me camping, the promise of hot pizza haha! I must admit I thought that was genius of him! we really want to go to France this year and explore, so I was happy to see that your trip was amongst the favourite ones.